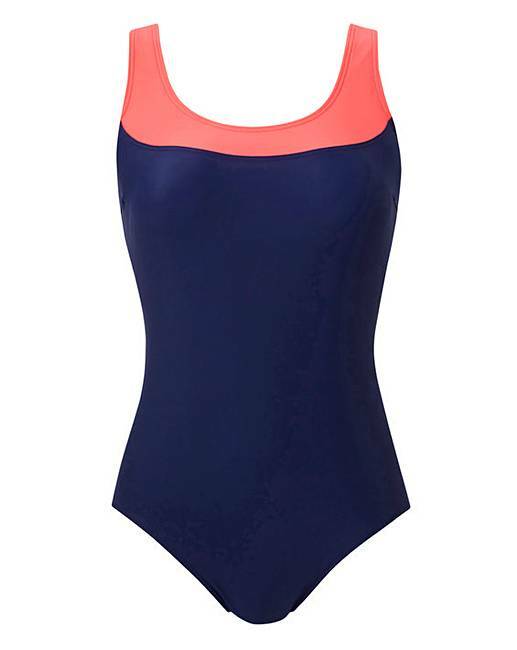 In navy and coral this sports swimsuit is your pool essential. 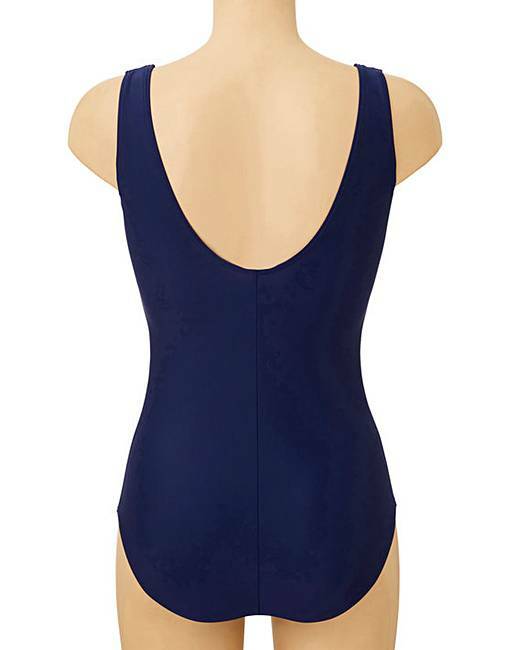 A classic shape with hidden bust shelf and classic legline, this one-piece features scoop back detailing and colour-block panelling to front. A great piece for lengths in the pool or on the beach.